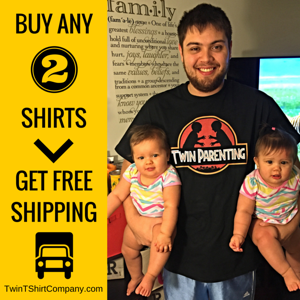 In this episode, I chat with Ian Wasti, father of twin girls. 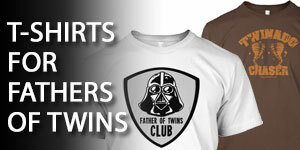 Joe: Hi there, and welcome to the 178th episode of the Dad’s Guide to Twins podcast. This is Joe Rawlinson. As always, you can find me on the web at Twindadpodcast.com, where you’ll find the complete show notes and transcript for this episode, and all previous podcast episodes. 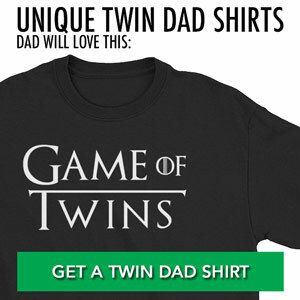 Today we are continuing our father of twins interview series with fellow father of twins, Ian Wasti, who mentioned to me that he got one of my books during a baby shower when they were expecting twins. You can pick up a copy of one of my books for yourself, or at dadsguidetotwins.com/books. 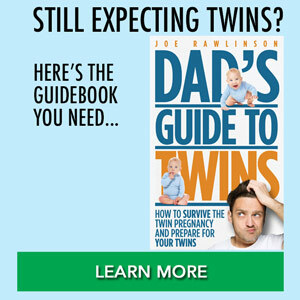 Choose from either “Dad’s Guide to Twins”, or “Dad’s Guide to Raising Twins”, based on where you are in your twin journey. Now let’s jump right into that interview with Ian. 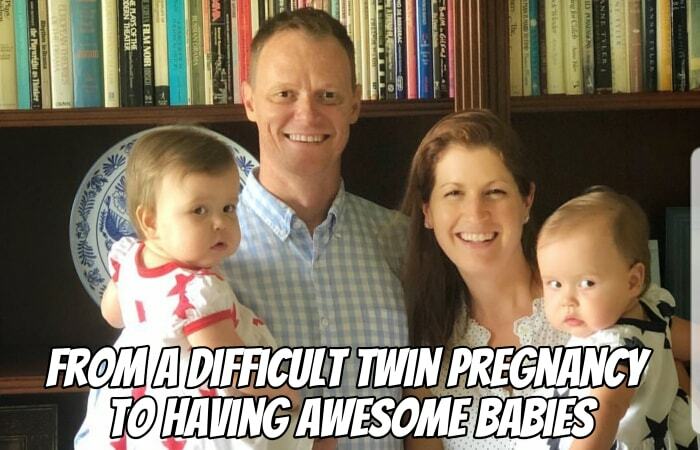 Joe: Today I’d like to welcome to the show fellow father of twins, Ian Wasti, father of twin girls. Welcome to the show Ian. Ian: Thanks Joe. Glad to be here. Joe: So Ian, tell us how old are your girls right now and what’s kind of the most exciting part about this age? Ian: Yeah. They’re 13 months, and they’re just on the cusp of really starting to walk. So they’re pretty mobile. They’re super interactive. Fun to be around. They come over and I think they’re starting to show more emotion towards my wife and I, and so it’s fun to be able to snuggle with them at this age, I think. We thought that both of them would be walking by now by the way that they were standing up and moving around objects, but I think they’re still kind of content to crawl. It’s the faster way for them to get to point A to B, and just haven’t taken that step. Even though we’ve been trying to work with them a little bit more about actually moving on their own standing up. Joe: Did they start crawling about the same time together? Ian: They did. So one of them has perpetually been about a week and a half behind the other in kind of some of the major milestones, and crawling was one of them, but it was very close in time. It was probably around eight and half, nine months that they really started getting the crawling down. They were up on all fours moving, rocking, trying to figure it out for a while before then, but it finally clicked in. Joe: We found that our girls would, whoever would figure something out first, then the other girl would pretty quickly observe and mimic that behavior. Ian: Was it always the same one or would they flip flop who got it first? Joe: It would depend on the, like a skill that they were doing at the time. You know if it was holding a spoon to eat, or if it was crawling. We had one that was a little more physically mature than the other, and so she usually led on those things. Did you see that? Have you seen that with your girls as well? Ian: I would say yes. Yeah. It was the one who was bigger when they were born. She was about two pounds bigger than the other one. She’s been the one who hit the milestones first, but its been, like I said, probably a week, week and a half that the other one figured out. It may just be because she watched her sister doing it and figured it out right away. Joe: Yeah the old adage monkey see monkey do is very true with twins. What have been some of the challenges you’ve had with them being so mobile? Ian: Stairs. My wife and I have, we’ve put up gates. We’ve actually installed gates on all of our stairways, but invariably we sometimes don’t close them and in a second they’re halfway up the stairs. That’s happened three or four times. So just having to be really diligent. They’re not walking. They’re not running. They’re crawling, and they can crawl really quickly, so that’s been something that’s been shocking to us. We’ve both looked at ourselves, the baby was right there two seconds ago, and then you still see the other one so there’s something in your mind that, “Oh, they both must be there,” but that’s not the case. So, you go look and she’s halfway up the stairs. Joe: Yeah, it’s amazing how quick they can be. Just turn around and they’re somewhere else, and usually into trouble one way or the other. Ian: Right. They just started to open up the cabinets in our kitchen, so this weekend is a bit more of the baby proofing for us. Joe: Are the girls your first children? Ian: They are. Our first and most likely are going to be our last. We got our family now, and are pretty happy about it. Joe: Why don’t we just, let’s rewind the clock a little bit back to when you found out that you were having twins. What was that experience like for you? What kind of family situation did you have at that time? Ian: Yeah, so my wife and I had been married for 13 years before we found that out and we were very content with our lifestyle. We both worked. We traveled a lot. We really enjoyed it. We talked about kids, and I think when we got married we said we’re going to five years before we even talk about kids. Then that five years turned into 10 years, and so it was a big decision for us to actually go down this route because it was a completely different life. I think that we said it would be hard for us to imagine regretting having children, but it would be more easily tangible to regret not having children down the road. So I think we took the step, and we knew we wanted two kids. We kind of joked around how a little bit older, and we thought it would be great to, I thought it would be great to have twins. I thought it would be funny to have twins. Get out family knocked out in one shot. Ian: Didn’t really think it was a realistic possibility. I don’t have twins in the family, my wife doesn’t either, but we were sitting in the first ultrasound and the tech was in there with us doing her thing. She said, “I can’t really tell you a whole lot, the doctor’s going to have to tell you and give you feedback, but you should know that there are two of them.” My wife just turned her head towards me and there was this deadpan look on her face, and instantly I was excited because I did it. I don’t have to wait another two years to have another child. This is perfect. This is great. So I put my hand up to high five her, like we did it. She just left me hanging. She just kept staring. She was not, not happy with it at first. Ian: We went out, sat in the car for probably a half an hour, and just processed what the heck this is going to mean. It took a while for us to still accept, I mean we’ll look at each other now and just say, “Two babies. How is this possible?” kind of thing, but its been so fantastic. So not expecting it. We weren’t doing an IVF or anything like that. It just happened, and the doctor said that as some women get older they start to release more eggs, and that’s possibly what happened with my wife, so here we are. Joe: Our girls were surprise twins as well. We had, like you, no family history of twins. Our girls are identical, which turns out is not related at all to your family genetics, so have you found out if your girls are fraternal or identical? Ian: We haven’t done the test. If they’re wearing hats, they look identical. If they’re not wearing hats, you swear they’re fraternal, so I don’t know what we’re going to do. If we’re just going to let it go and forever kind of wonder, or if someday we’ll actually try and figure it out. Not sure. Joe: We were going for number three, and we ended up with three and four so it was kind of an adjustment. For sure. 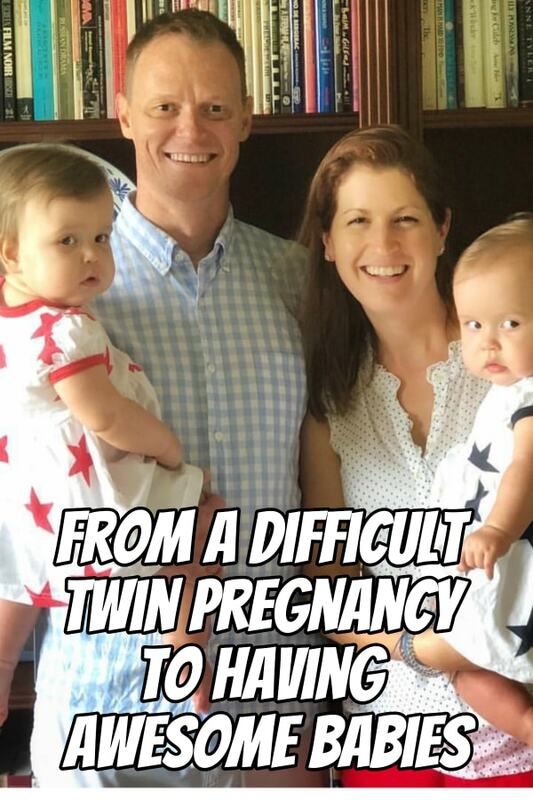 So as you were processing the news that you were going to be having twins, what were some of the biggest concerns that you had about the pregnancy or about welcoming them into your family? Ian: It was probably a situation. This may have been different for you having already had two boys before your girls. I didn’t know what I didn’t know about the pregnancy right, so everything I learned about the pregnancy was in a twins lens. So I wasn’t able to put, there wasn’t a worry for me in a sense as I went through, but I think just the logistics of having, I tend to be somewhat analytical and so the logistics of having twins. It wasn’t really a cost thing that concerned me. I just felt like, “How are we going to do this? How are we going to manage two children with the way that we’re currently living?” Just trying to figure out what it means. I think that I almost preferred to have, to not have had the experience of one child beforehand and just jump right into twins because I don’t know any better, but I don’t know. Joe: I’ve heard that from other dads too that twins were their first, because it’s really hard but you don’t know any different. So you just jump in and you have to figure it out, where we had the two boys before and I can kind of compare and contrast how much more difficult it was having two than one. In that regards it’s a blessing to have them come first. How did the pregnancy go for your wife and for the girls? Ian: I would say miserable. So my wife had sickness the entire pregnancy. We tried all sorts of medication. Medication we didn’t really even want to try, but she needed to do something to feel better, so it was really difficult. I think that that was probably the hardest part of this entire journey was the pregnancy. She was sick, nauseous all the time. She’s always had a little bit of back pain, but it just exacerbated that, and I would say that there are few worse feelings, I’m sure there are many more, but walking into the bathroom in our bedroom and seeing your wife just sitting on the floor just crying because she’s been throwing up. She’s in pain. It’s just, and there’s nothing you can do, right? There’s nothing. There’s no amount of consolation you can give her that’s going to make her feel better. So that was probably the toughest part of the year and a half, year and nine months. Whatever it is now. Ian: The flow wasn’t very strong and they were concerned about a reverse flow most of all. And, so, we went in for an ultrasound. Things weren’t really looking good. They held us over for observation and about five days later, they said, we just need to take the baby. Baby’s out, so we did that. The pregnancy went fine, but … and then my wife had preeclampsia. That was another reason they took the babies out. But they’re completely healthy. They were fine. They were three pounds 12 ounces was one and five nine was the other, and they didn’t spent a minute in the NICU and we took them home about four days later. Ian: It was … all of the trouble we’d gone through, everything turned out really well come pregnancy time. Joe: How many weeks did they make it to? Joe: Yeah. That is average. Yeah, our girls were born at 36 weeks too. So was the birth experience what you had expected or were there some surprises there? Ian: I was surprised how quick it was. So the story was, we had been in the hospital. She had been monitored for a long time. It was Saturday and we thought she was going to go home on Sunday. So, I’m like, look, I’m going to go home. Let me go home, get a good night’s sleep, clean up the house. I’ll come back. We’ll check you out in the morning. I have a leisurely Sunday morning. Stop, get my coffee, breakfast. I stroll in and the doctor’s in there and she’s, are you ready to go, dad? And then I was, like, what? Ian: They made the decision to have the babies. So I walk into the hospital, two hours later, I’m holding my two girls. And it was, I was, I think, unprepared for how quick it happened. Quickly it happened. I was an interesting experience. My wife had a C-section and I was just sitting on a stool next to her head. I’m watching the doctors work and actually struggle to get the first baby out because she was a bit bigger. But it was pretty incredible. Ian: I think I was also expecting to have a little bit more emotion at seeing my children for the first time. That didn’t actually happen. It was very methodical and the babies can do this, I’m going to do this and so I was in the moment of what is the next step? The baby … all of the things that have to happen as opposed to really processing that my children have just been born. So that was a little weird. It’s not what I expected, I think. Joe: Did that catch up to you eventually? Ian: It did. It was when they took us into the recovery room and I take my shift off to put the baby on my chest and you’re holding that baby, and you’re still, like, …. I would say that it never came at one time. That realization never came at one time. It was these incremental steps over time, over months even. Even today, I look at them and there’s this ounce more of realization and love and belief that I have children and that this is my life now. That’s wonderful, but it never was like an instantaneous thing that happened. Joe: Yeah, it is those little moments when you’re bonding with them, like you mentioned, you’re holding them when they’re newborns or maybe when you’re changing a diaper or helping feed them. It kind of builds on … that bonding builds day by day. So how was your wife’s recovery from the C-section? You said that you were able to go home within a few days. Ian: Yeah. It was uneventful. Took some time. She had some pain, but it wasn’t abnormal pain or didn’t have any other issues from the preeclampsia. All went very well. It really went extremely well. From that point of walking out of the hospital to today has … we’ve had some small bumps, but it was nothing like before then. It just … her recovery went really well. Joe: That’s fantastic. I guess it’s … if you have to go through such a difficult pregnancy and then you get the reward of not having that many difficulties after kind of balances that out a little bit. Joe: What was the work situation like for you and your wife? She was having health issues during the pregnancy and then taking time off once they were born. Ian: Right. So my wife is a personal chef, so she would go into people’s homes and cook meals for the week or whatever and so she would do that a couple times a week. So she had a pretty flexible schedule and was able to let her clients know that she was going to be off for a while. It’s a very fluid client base anyway, so it wasn’t too tough, work wise, for her. She has taken on some clients since then, but it certainly wasn’t for the first four or five months. So we were very fortunate to be able to have that sort of flexibility. Ian: And then my job, I’m a consultant, and I work a lot of time from home, so I’m around to be able to help. At five o’clock, I’m here and I can help. It is a challenge to hole myself away in the office sometimes, but I had a … I guess it was three weeks I took off at the time. Two weeks for paternity leave and just one of normal time off. It was a good time. It was a great three weeks. Probably should have saved some of that time for later on, but I didn’t. It was okay. Joe: Did you have any family or people come help you or was it just your and your wife? Ian: The one thing that at times I even feel bad about calling myself a twin dad or us twin parents is that we have a lot of help. My wife’s parents live 15 minutes away and my brother-in-law and sister-in-law live 15 minutes away. My family lives about 40 minutes away. And they have been amazing and wonderful and give us breaks and come over and help and in those early days, my mother-in-law would come over and spend the night with us. We would have her come over one night a week and that one night, my wife would just get full sleep as much as she could. I would get full sleep the next time. And the hard part was, my wife was still pumping or breastfeeding, so that was a challenge. And I felt badly for that. Ian: We’ve been very lucky and blessed to have all that help. Joe: Oh, yeah, that’s great, the family’s so close. Especially in those early months where it’s just all hands on deck all hours of the day. Any respite you can get from that is huge. Like you mentioned, that full night’s sleep is like a vacation. Talk to us a little bit about the feeding. You mentioned your wife was breastfeeding or pumping. What did you find worked best for your girls? Ian: We started off, I think we tried to get on a two-hour schedule. We really tried to be on schedule as much as possible. My wife was both trying the breastfeeding, pumping. It never really took. 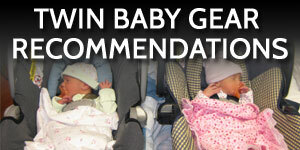 Breastfeeding never really felt comfortable and seem to work no matter who much we tried. It was so difficult for us to tell how much they were getting and she was then still pumping and we were having to supplement with what she had pumped and feed them in bottles. So, it was … that was the hardest part of the first three months, was figuring out the feeding, the breastfeeding and pumping. Ultimately, we just made the decision that we were going to go to formula. And honestly, now, I’m now sure when we did that, but it was fairly early on. Ian: It just made things a lot easier. We didn’t’ like that fact that they weren’t getting breast milk, but it just made our lives so much easier and managing schedules and my wife being able to get sleep when she could get off of the pumping cycles essentially. That’s a tough part. I don’t ever desire to go through that again. Joe: We struggled with breastfeeding, too, and ultimately moved to formula, just like you’re describing. One advantage was, I mean, I can more actively participate then in feeding the girls and give my wife a break or we can tag team and get it done more quickly than when it was just her trying to breastfeed. That is one upside of that. Ian: Yeah, I think we were still … we would get up at the same time, for the most part, in the early days. We would get up at the same time, I would take one baby, she would take the other baby. She would try and breastfeed one. I would maybe feed a little bit of bottle. We would switch. We would try and figure out, but we were both getting up at the same time. Then when she was able to produce enough that I could get up with the babies when they needed to, I would get up with them, but she was still having to get up to pump, regardless, at certain intervals. Ian: The big breakthrough for us was when they were able to almost sit in one of those boppy seats together, next to each other, and I could feed that babies with bottles at the same time, instead of both of us having to be there. That was just life saving, almost. Joe: Oh, yeah, yeah, when we hit that milestone, too, it was great, because you could sit between them. Your left hand was one baby and right hand with the other baby and away you go. It was awesome. Joe: Are they sleeping through the night now and when did that start? Ian: That started, crazily, at four and a half months. I don’t know what happened how we got so lucky, but they have slept from about four and a half, five months. They go down around 6:30 p.m. and I get them out of their cribs at 7:00 a.m. We’ve had some pretty restful nights for that past nine months. Joe: That’s great. What’s their nap schedule like now? Ian: It’s pretty consistently, you know, two hours plus or minus half an hour every once in a while. Joe: Is your wife home with them taking care of them or do you juggle that responsibility? Ian: She is home with them and takes care of them, so that’s the standard. If she needs to run out and I’m working from home and I can juggle my schedule, then I would certainly be able to do that. We’ve always tried to take the tactic that if I’m around during the day during work hours on a business day I’m working unless we have a pre-arranged relationship. But at the same time, we never wanted it to be that it was always her responsibility to take care of the babies and that my involvement was, I’m just babysitting them until she gets back. I think we’ve … It’s just communication between the two of us. It’s how we work all that out. Joe: We’ve had to juggle similar schedules at least for the last four years I’ve been working from home. My kids are a little bit older but still there’s getting them to their school activities or what have you and juggling who is working when, who has a podcast interview phone call versus other things going on, so it’s always an adventure. It just gets more complicated the older the kids get I think. Ian: That’s the thing. I’m almost dreading the time when they all need to go places. It’s very … We’re in this sweet spot I think right now that it’s really good, very predictable, they’re not going anywhere, we set the schedule so it’s pretty happy right now. Joe: Have you been able to travel with your twins? Ian: So … Prior to my wife becoming pregnant, with her family we decided to do a trip to Hawaii in January of this past year, of 2018. So we booked everything prior to her getting pregnant, so it was about a year and a half ahead of time we did all this planning and scheduling. Ian: We then had to add … So, long story short. We took two 6-month-olds to Hawaii for two weeks. We could have an entire podcast on that trip. But it really wasn’t that bad. It was a good trip. It was good for us probably just to be in an uncomfortable zone and think about how to travel, the logistics of traveling. I remember before the trip, we actually did a rehearsal of how we were going to walk down the jetway with the stroller, with the bags, how we were gonna be holding a baby, putting the stuff together in the bag and it was … but it all worked. Joe: We fell into groove kind of like you’re describing of what was working and stuck with that. People were always around us very gracious to help, especially the hospitality staff or the airline crew because they’re like, oh boy, here comes the twins and everyone’s bags, so … That was always a good benefit. Joe: Plus, I suppose they were lap children for you on the plane. Joe: So, that makes it a little more affordable of course. Ian: Yeah, it was good. And we actually got on one of the flights … You’re right. People are so kind and helpful. We got an extra seat on the way there, so we were able to spread out a little bit. There was one time, I will say this that it’s almost unfair to the mothers sometimes. I was walking through the airport. I had a baby strapped to my chest. I had a big bag over one shoulder, the stroller bag over another shoulder. My wife had gone ahead because she had to change the baby in the bathroom. So she’s dealing with a poopy diaper, right, and I’m walking through carrying these things. And a flight crew is just walking down the aisle, whatever, and one of the flight attendants says, ah, you’re the dad of the year there, dad. Just because I was carrying all this stuff and the baby. I’m like, if my wife heard you say that. Joe: Yeah, twins are a team effort. Most people, like the tip of the iceberg, most people don’t see all the stuff that goes on to care for them. Joe: Yeah, you just kind of smile and nod when people make comments that’s for sure. Joe: So, Ian, you’ve written a book in the past too. Do you want to share a little bit about that? Ian: In plain reality, what fulfills us at the end of the day isn’t related to that. We lose sight of that. So the book is about, it’s humorous, it’s kind of irreverent, but there is an underlying truth to it about really some activities that you can do to discern what is important in your life and what is not important in your life. Ian: In one of my chapters about procrastination, another one is about setting the bar low, and so there’s some humor to it but there is some reality to it. What I didn’t realize was that it completely translates to taking care of twins as well. And you have to prioritize things and really think about what matters and what doesn’t when you’re trying to juggle the physics challenge of having twins. Ian: So, it’s been a very applicable philosophy post-twins I would say. Joe: ‘The Perfect’ Antidote Why Greatness is Overrated, you can get that book on Amazon. Is there any other place where they can learn more about that book? Ian: I also talk about it on my website, ianwasti.com. Joe: Yeah, I’ll link up those in the show notes so everyone can check out the book and your website as well. Joe: As we wrap up our discussion today about twin, what’s one thing that you’ve been able to do to maintain a strong relationship with your wife through this twin journey? Ian: That is the number one most important thing and my wife and I talk about this a lot. Our twins are a reflection of my wife and I. So, my wife is the number one person in my life. It’s not our twins. We love our twins. But it is about my wife and I, and they are the result of the love that I have for her. Ian: It is communication and planning and talking about the little things, you know. How much water am I gonna add to the milk this time. Why are we doing that. The very details and being involved in those decisions and discussion and talking about it I think bring us closer, gives us a plan, so we’re on the same page. There’s gonna come a time when we’re challenged by the children on certain things and being on the same page with them I think we’re trying to lay that groundwork now. So it’s really just communication with my wife and I. I think that, that has the deliberateness of that and the need to do that has brought us closer as well. Ian: And then of course just seeing the girls smile at you when you come down the stairs or just knowing that we’re a family too. It’s petty wonderful. 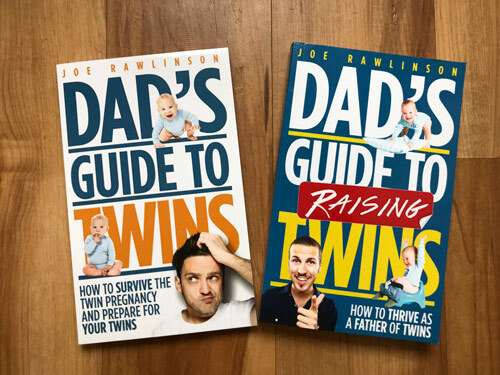 Joe: I think the word you mentioned was deliberate if consciously you’re making that effort to have the open, honest communication can make or break a lot of relationships when they’re put under the stress of newborns and twins. That’s a good reminder. Joe: Well, Ian, thank you so much for sharing your twin journey with us today. We really appreciate it. Ian: Well, Joe, thanks for having me. I appreciate it. Joe: I hope you enjoyed that chat with Ian. His journey so far with his twin girls. Again, I’ll link up to his book and his website. If you want to reach out and get a hold of him in the show notes for this episode over at: twindadpodcast.com. 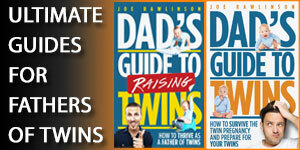 Joe: Once again, today’s show is brought to you by my books, Dad’s Guide to Twins and Dad’s Guide to Raising Twins. 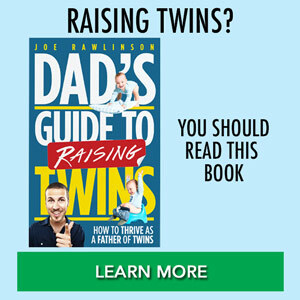 You can learn more about those books at: dadsguidetotwins.com/books. Joe: Thank you so much for listening and I’ll see you next time.